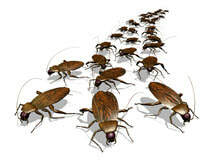 Residential pest control includes four treatments per year. It covers the most common indoor pests (ants, spiders, roaches, bees, hornets, silverfish, clover mites, and rodents). Additionally, we use a Perimeter Pest Control system that provides a pest buffer zone around the home. This is an excellent deterrent to future infestations. Commercial pest control solutions are for restaurants, hotels, schools, and offices. These are most often a monthly service and designed for each customer. Termite control is designed to service an existing home or building, including the foundation and wall voids. The treatment is guaranteed and has an option to renew annually for a fee. The contract acts as a kind of insurance policy where we hold the liability for termite damage. Plus if the owner sells the house they will need a current termite policy to provide to the new buyers.